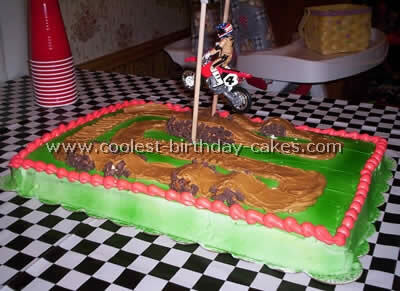 I wanted to make a motocross cake for my husband’s birthday. He always likes creative birthday cakes so made him this one. 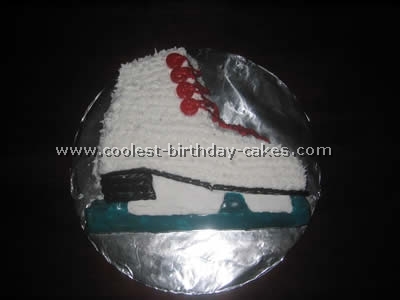 This cake was really easy. 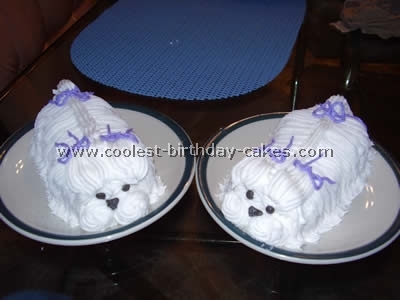 I made half a sheet cake and iced it with white icing. I then sprayed the green on it. I mapped out a track on paper and then traced it onto the cake. I used crushed Oreos to look like dirt. I used pretzel rods to help me build up the jumps. I put Dow rods into the cake with a banner across the top. The motocross rider was hanging from the banner with fishing line.